To be honest I wasn't sure if I was going to write about Gigi. After all I haven't seen it. And if I'm being honest once again it didn't get the greatest reviews. But my job is not to be critical. I am paid to talk about the show and provide you with information about it. Not too mention help you get tickets for it as well. After all that's what we do. Sell tickets. I will tell you though that the other day while l was walking by the theatre I have never seen a more enthusiastic audience. They were so excited about seeing the show. Although I'm sure most of their enthusiasm was due largely in part to seeing it's star Vanessa Hudgens. She is the reason the show was revived in the first place I'm guessing. In fact despite the reviews the show sold at ninety percent capacity last week. Not too bad I would say. Plus with Summer around the corner and the kids out of school I'm guessing the show will do pretty well. We shall see. Now like I said before I have not seen the show. Yes I know it was a movie but at least it was a movie musical first which by the way won the Academy Award for Best Picture of the Year. This new production is it's first since the unsuccessful 1973 Broadway production which closed after a hundred and three performances. Let's hope this version last's a little longer. Now for those of you who are looking to purchase tickets to see Gigi you are in luck. We sell them. Well that and every other show on Broadway. Not only that but we can get you tickets to see the show at prices that can't be beat. Just give us a call and we will take care of the rest. It's what we do. 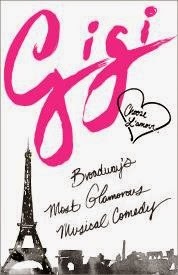 Get your tickets to see Gigi starring Vanessa Hudgens on Broadway at the Neil Simon Theatre. Until next time theatre fans.